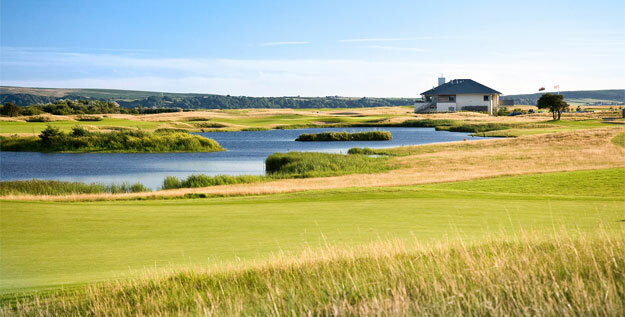 A world-class golf course in a dramatic setting, Machynys Peninsula brings the unique Nicklaus Design style to Wales for the first time. 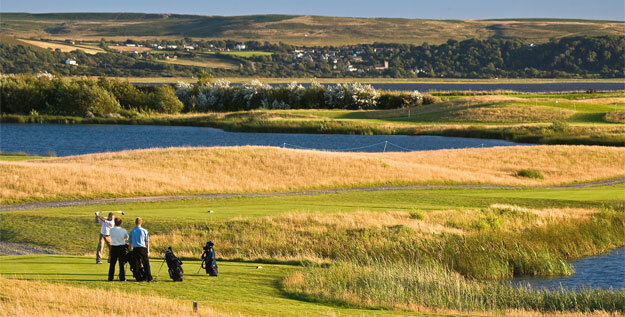 An exciting and versatile course, Machynys Peninsula has been designed to challenge the best players in championship conditions and yet still be enjoyable for the higher handicapper, by utilising up to six tees per hole. 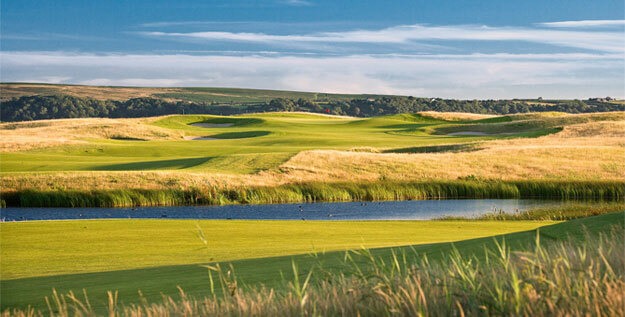 The shaping of the 3.5 million pound course layout has included the creation of 25 acres of new lakes – salt and fresh water – giving it a unique feel for a links-type golf course. Gary Nicklaus – who has been overseeing the project design on behalf of his father, the legendary Jack Nicklaus – has identified some of the more challenging and interesting holes as the 4th, 5th, 16th and 18th. Naming the fourth, ´the most unique, a short-ish par 4 but a very challenging and a difficult one nonetheless´. He goes onto say: ´The 16th, a par 4 that is played across the lake from right behind the clubhouse is probably one of the most beautiful holes on the course. The view from the green of the whole bay is spectacular, whether the tide is in or out´.